Orland Park Annulment Lawyer | Johnson & Johnson, Ltd. Skilled Orland Park annulment lawyer. When married couples want to end their union they typically file for divorce, also called dissolution of marriage. However, there are times when a couple may prefer to seek a legal annulment rather than a divorce. It is important to note that a legal annulment is not the same as a religious annulment. If you are considering the possibility of annulling your marriage seek help from an experienced Orland Park annulment lawyer. The highly qualified attorneys at Johnson & Johnson, Ltd. understand annulments and will help answer your questions regarding the process. Legal annulment of marriage is similar to a divorce because both bring an end to the union. While a divorce brings a legal end to the marriage, an annulment voids the marriage. In the eyes of the law, an annulled marriage never existed. The annulment means the marriage was not valid in some way and therefore is not recognized. There are some strict qualifications that must be met in order to request an annulment. A reputable Orland Park annulment lawyer will review your situation and determine whether you may meet the qualification requirements. One spouse was incapable to consent to marriage due to a mental disability or because of the influence of alcohol or drugs. One spouse agreed to the marriage due to duress, force, or fraud. One spouse is unable to consummate the marriage because of physical incapacity and hid that fact from the other spouse. One spouse was age 16 or 17 and did not receive the approval of a parent or guardian. The marriage is not allowed because one spouse was already married or because the spouses are closely related by blood. 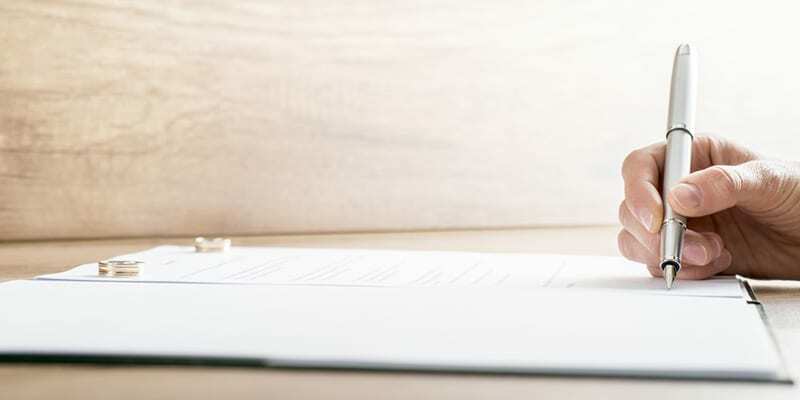 If you feel you may meet one of these requirements you will want to talk to an Orland Park annulment lawyer as soon as possible because there are deadlines that must be followed. When mental incapacity, intoxication, fraud, duress, or force is the reason for seeking the annulment the petition must be filed within 90 days of the date of marriage. When the annulment is being sought based on physical incapacity the petition for annulment may be filed up to one year after finding out about the impotency. When one spouse is underage at the time of marriage the petition for annulment must be filed before the spouse reaches the legal age to marry. In cases of bigamy, the time limit to file for invalidity is three years after the first spouse dies. Annulment petitions are only allowed when these strict guidelines are followed. Because these restrictions can be complicated it is essential to get legal help from an Orland Park annulment lawyer as soon as possible. While it can be relatively easy to get married, it can be much more difficult to obtain an annulment. In cases where the criteria are not met, couples will need to go through the divorce process in order to dissolve the union. Annulment can have an impact on finances as well as children. A skilled Orland Park annulment lawyer knows the issues that are involved and will advise and guide you through the process to ensure that your best interests are protected. Contact the qualified family lawyers at Johnson & Johnson, Ltd. to discuss your situation in detail, get answers to your questions, and determine your options.